Pink is not usually a color associated with November and I was surprised to see how many pinks were in bloom this month. 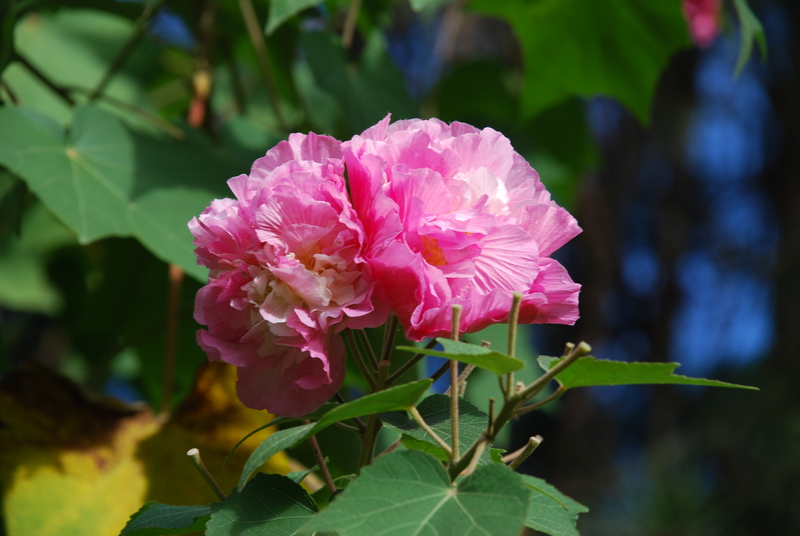 The garden favorite, Confederate Rose, begins the show. She only blooms in the fall. 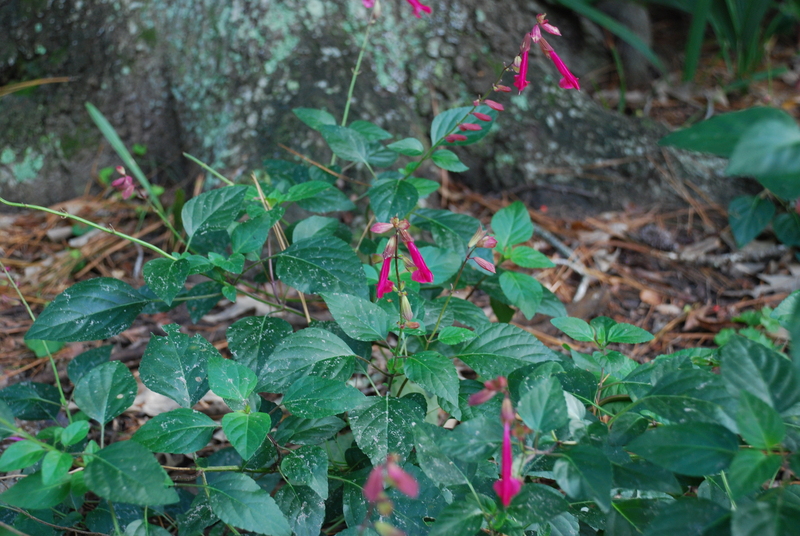 Wendy’s Wish salvia will bloom in the spring, but it does bloom nicely in the fall and into the winter if the weather stays mild. 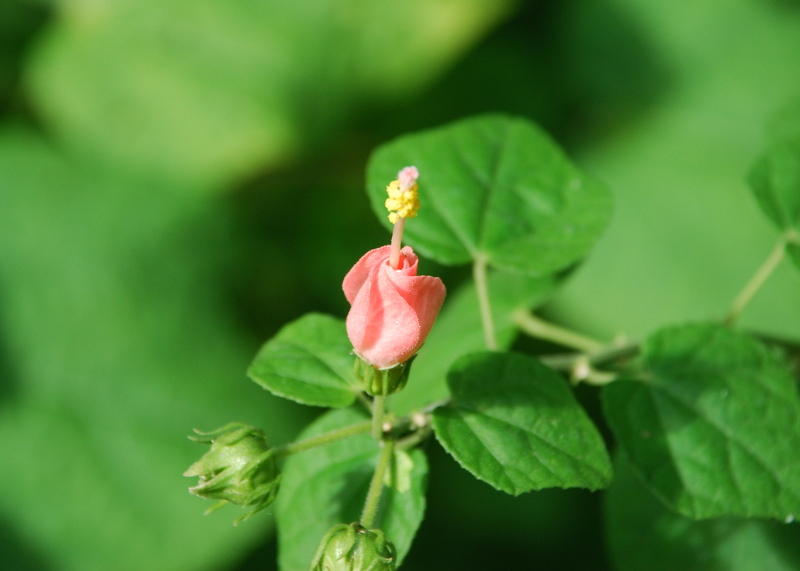 Pam’s Pink Turks Cap has continued blooming from late summer. 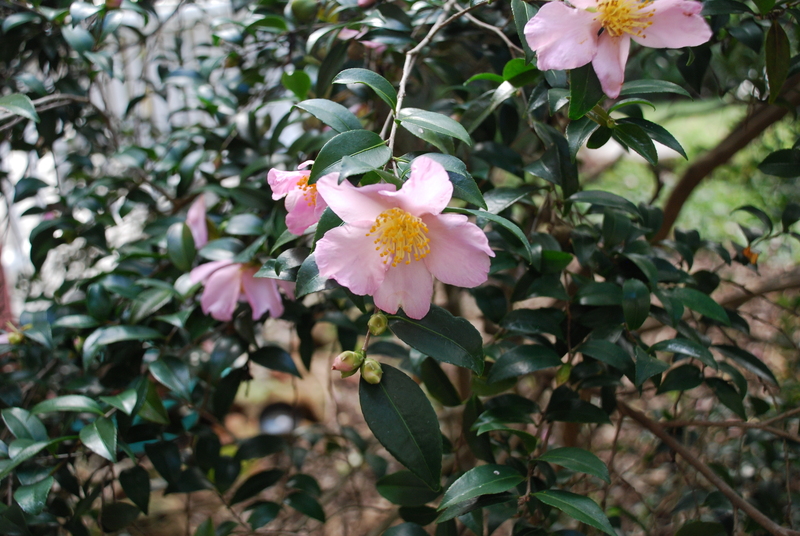 Camellias begin their bloom time in the fall. This one starts by Halloween. 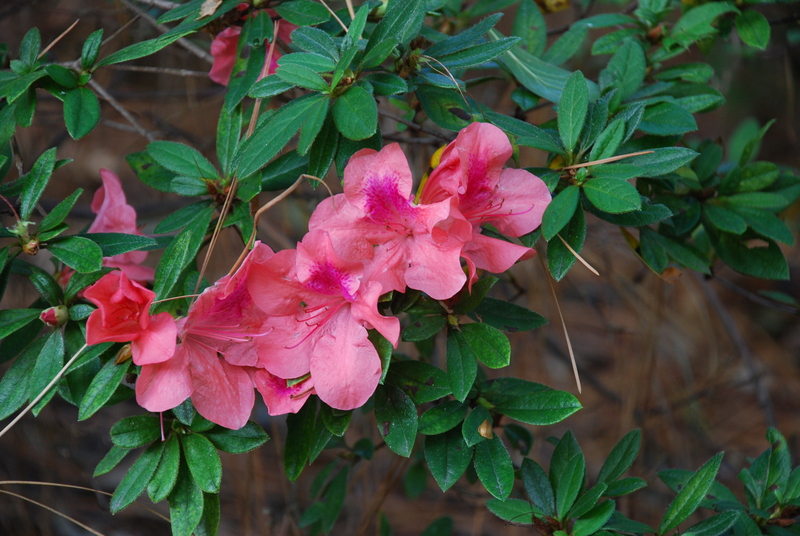 Ancore Azaleas bloom on and off all year-round. 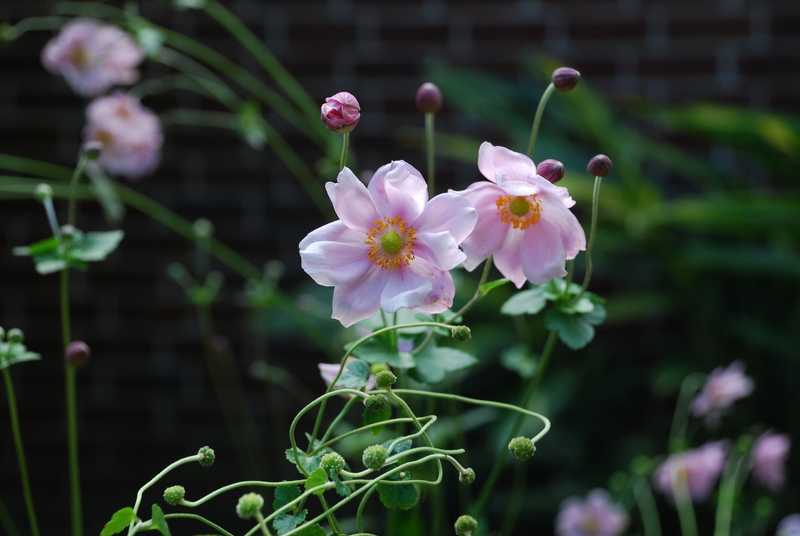 The Japanese Anemone is beginning to wind down after a couple of months of blooming. 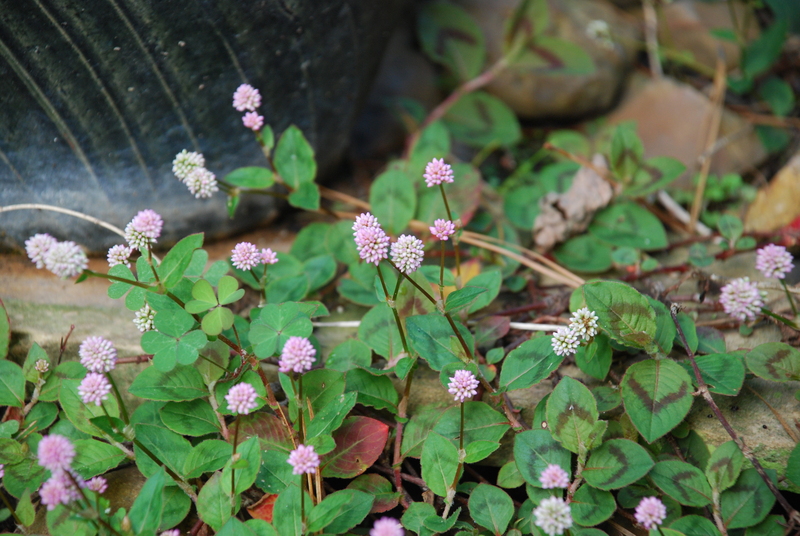 The cutest little pom-poms develop on the Mexican Knot Weed. This pink Wishbone had reseeded from last year’s plant. Believe it or not, no pink Pentas were ever planted in the garden. There are white and red Pentas. Maybe they got together. 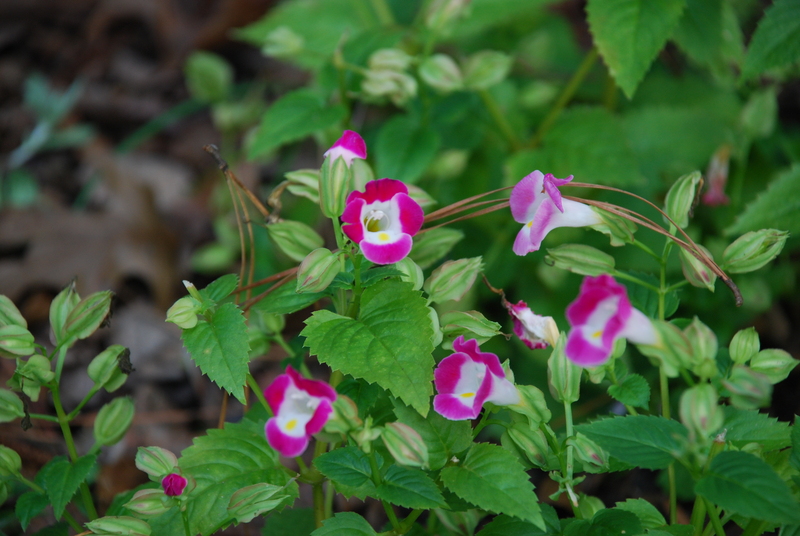 The Pink Salvia has been with me for a long time. Many years ago, a neighbor let me dig it up from her garden. I have moved since then and so has she. 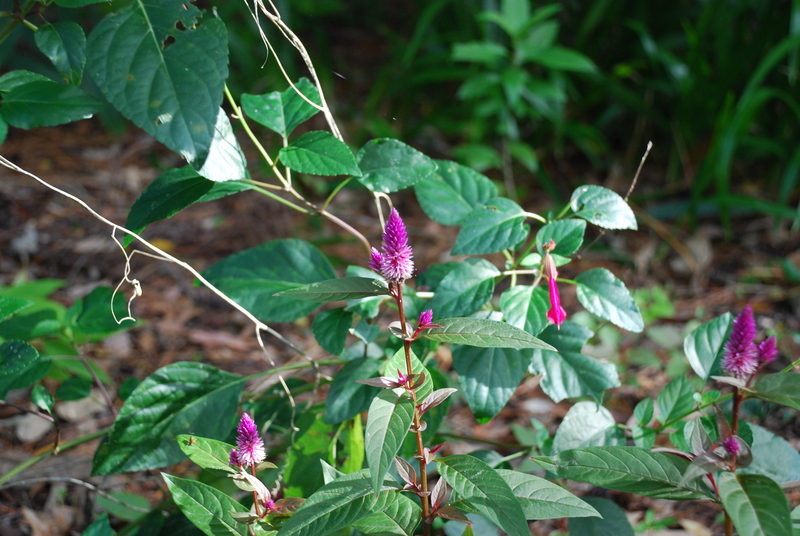 Even though this is named Pink Flamingo Feather Celosia, it looks a tad purplish.